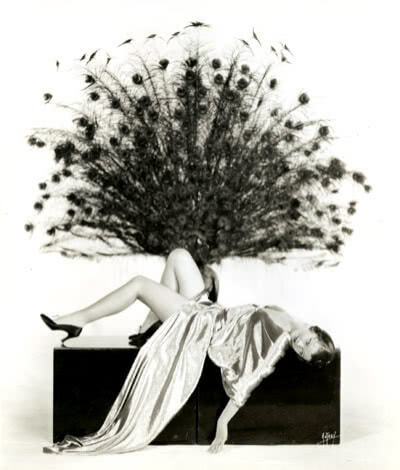 Above is a 1920s Hollywood portrait of the actress Myrna Loy. 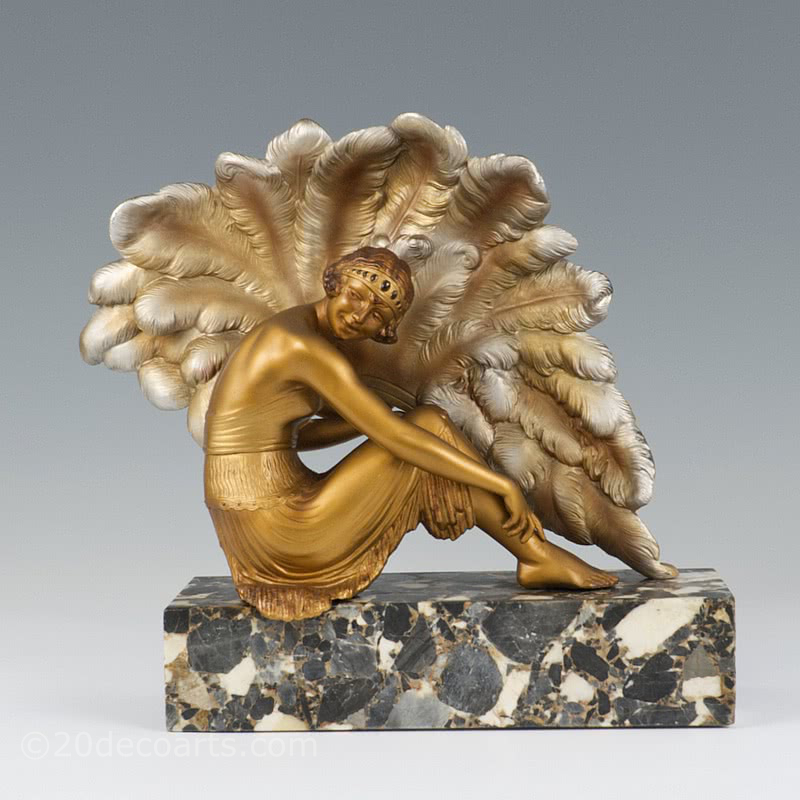 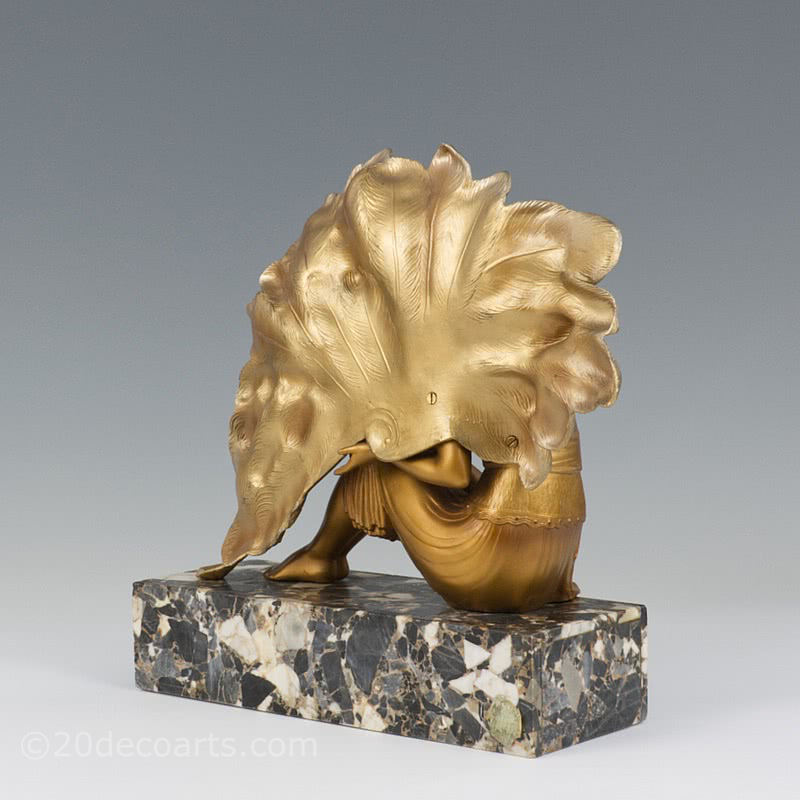 An Art Deco spelter figure, France c 1925 by Van De Voorde, mounted on a terrazzo marble base, the metal decorated in cold-painted golds and silvers. 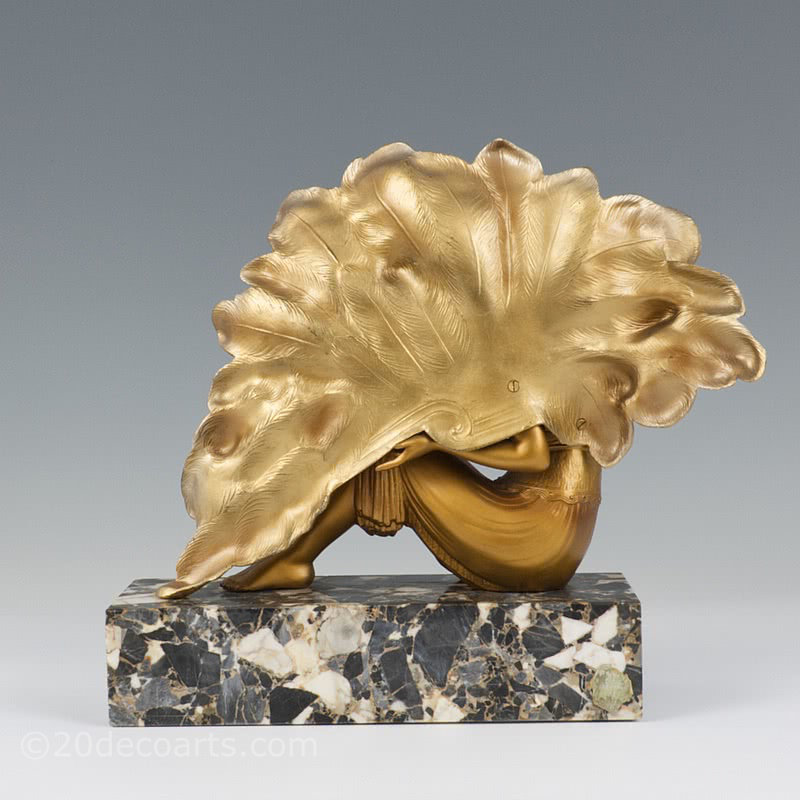 This rare and stunning sculpture depicts a 1920s cabaret performer posing with her oversized fan ... pure Hollywood!